Being totally a simpleton I never used to think that I’ll own a lipstick someday! 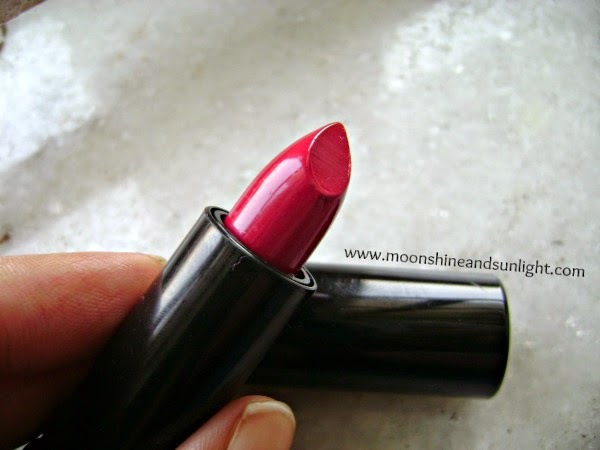 But being a lover of colors I simply couldn’t stay away from them and also being the type of scrooge I am, I do not want to splurge on lipsticks until I am sure that I’ll wear them. So, I started with afford-ably priced lipsticks from Oriflame. 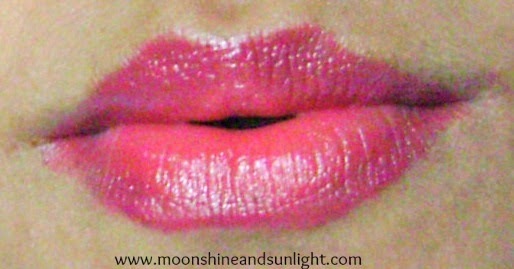 I have reviewed a girly and sweet pink from them here earlier and it is time for a bolder pink! Let’s see what I have to say about it. Packaging: - Black cylindrical packaging, the cap is a click cap. 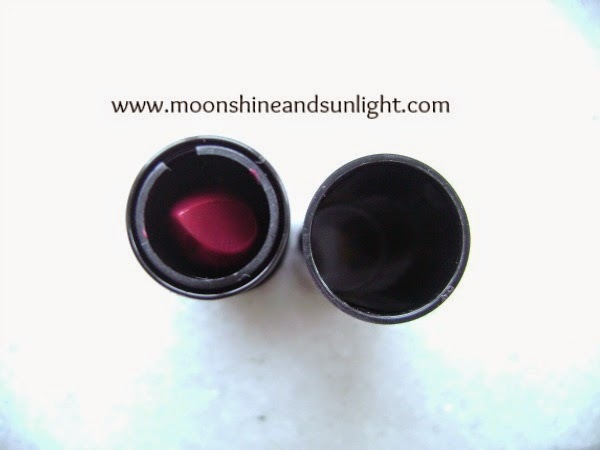 The small tube is very handy and you can easily slide it inside your purse and carry around. Pigmentation and color: - I love the color as it is a dark fuchsia perfect for warm skin tones fair or dark doesn’t matter. This color will suit all skin colors. 2. 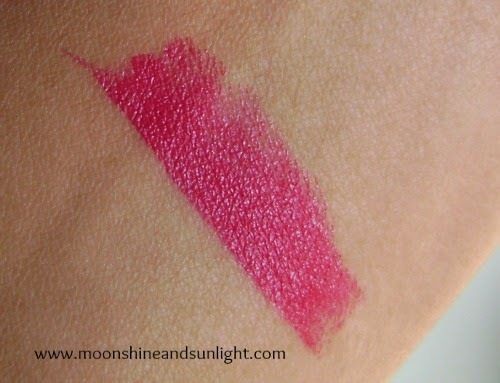 Pigmentation is awesome; one swipe is what I am wearing here. 3. Dries out after 3 hours and settles into the lines. Until then maintains moisture. 4. Can survive light snacking. 5. Not very smooth or creamy in texture but glides nicely. 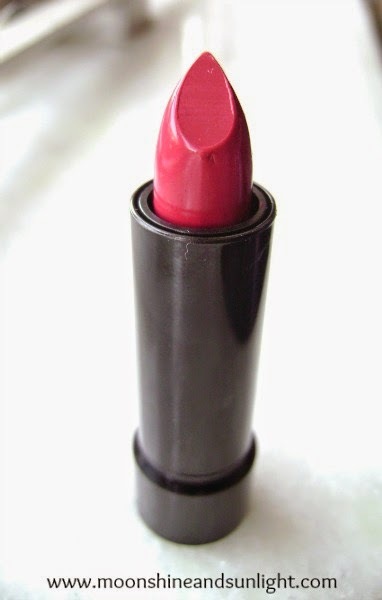 My experience: - I absolutely love this lipstick given the price! Color, pigmentation and stay gets thumbs up from me, but the settling after some time does not. this also leaves a light pink hue after it has faded. It brightens up the face. The texture is okay, not too creamy. It is glossy initially then turns matte. I like that this does not transfer easily, after it settles. Has no fragrance, which is another plus for me! This is just one swipe. I would highly recommend this because at this price range this is a fabulous option. Have you tried this range from Oriflame?? 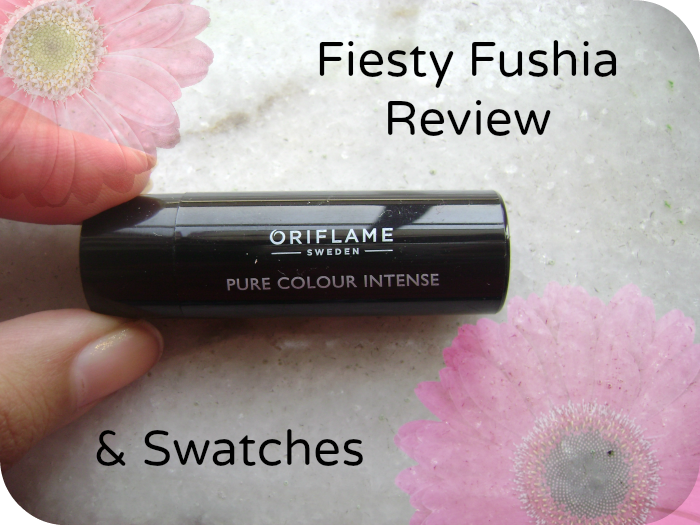 See other products from Oriflame reviewed by me here!